Until recently unaccompanied minors in the Netherlands were placed in detention if they entered the territory without documentation. Three hundred minors were detained in 2009. The Dutch Minister for Immigration and Asylum, G.B.M. Leers, announced on the 10th of March 2011 that unaccompanied migrant children will no longer be placed in immigration detention. The interest of the child will be valued higher than a possible flight risk. Unaccompanied minors will instead receive temporary housing through the central asylum authority, Central Organ for the Shelter Reception of Asylum Seekers (COA) under guardianship of the institute called NIDOS. Even though there are still certain exceptions, the IDC very much welcomes this policy change. The Dutch government has also announced a report into alternatives to detention more generally, following years of advocacy from IDC members, refugee and human rights organizations, such as Amnesty International. 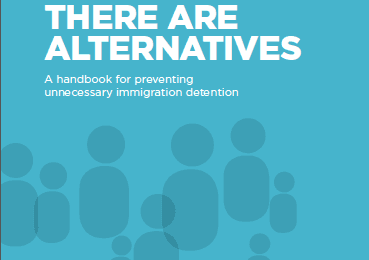 IDC took this opportunity to congratulate Minister Leers on this step forward and met the government to present the IDC handbook on alternatives to detention. 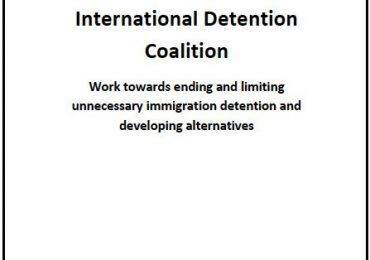 In early May, the Dutch government participated in the first Global Roundtable on Alternatives to Detention in Geneva, and were interested in using the Community Assessment and Placement model proposed by the IDC in their analysis. In late May the IDC helped facilitate a visit by Amnesty International Netherlands to Australia, to explore case management and alternatives. The IDC will follow closely developments in the Netherlands, where advocating for children and unaccompanied minors has clearly opened the door to a broader discussion about using detention only as a last resort. Like many other European countries, the Netherlands do not detain people when they enter the country overland and seek asylum. The government allows children to attend school. Asylum seekers reside in open centers. People rarely abscond as their basic needs are met and it is in their interests to comply in order to ensure processing of their refugee status, as is consistent with the findings in the IDC Handbook: There are alternatives. However when the application is unsuccessful, people are detained for forcible return or removal in detention facilities with a regime based on a prison system. The circumstances in immigration detention centers are in many respects more severe than those in penitentiary prisons. This environment was deemed unsuitable for children and families, and as a result the detention of families with minors has been limited. This was the outcome of the advocacy effort of human rights organizations among which several IDC members and the parliament around the detention of families with minors. The same principle has now been applied to unaccompanied minors and we see a move away from detention of unaccompanied minors. The IDC believes that strong case management and access to the right information allows for people to reside in the community even when they face return.